Oh, stay on at the shore, they say; September’s the nicest time. I’ve said it too but it wasn’t to be. September was mostly rainy, muggy hot or muggy fog, more foggy days than I remember for an entire season. Oh, well. There’s always next year when September will be the nicest time again. In the last week we were attacked a couple of times by fog at dusk, lasting until burnoff the next morning. 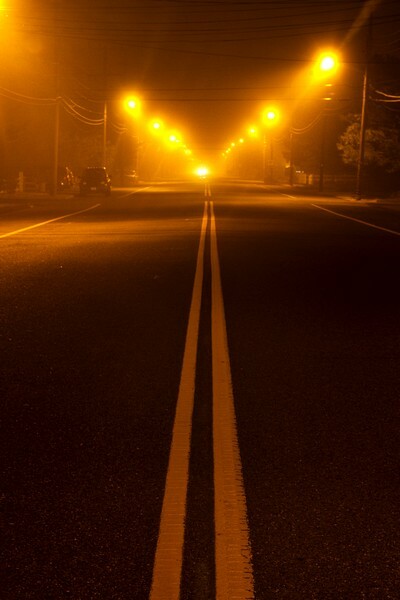 I’ve not photographed in fog at night so I had to try it. Down at the landing it wasn’t quite night-dark, in fact you can see a bit of reddish glow from the setting sun which had been dimmed by the fog. 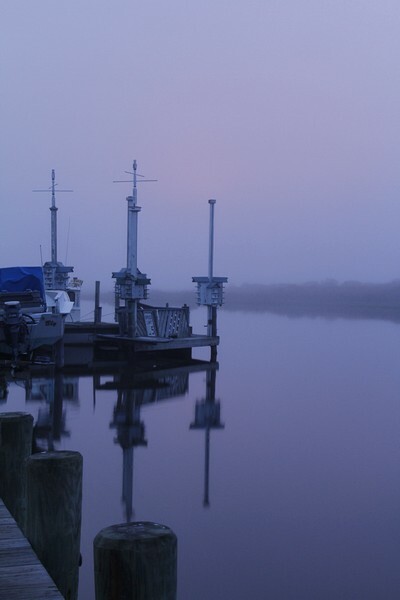 A foggy twilight at Cotov's Landing. All in all, a good exercize. The fog pushed me over the edge. It’s been quiet since the kids (and most of the summer visitors) pulled out. Then, my special friend packed her stuff up and left. Finally, the forecast for the first October weekend was bright but ….. chilly, and not likely to be beach days. Enough! I packed up and returned to my hibernaculum. Not for long, however, as I’m in transit to my townhouse at Medford Leas. They’re promising November 1st so I think I’ll be moving in November. I’m dreading the process of packing/discarding forty-two years worth of “stuff,” actually fifty-four years counting since marriage. I’m going to have a lot of help and it will all get done. My next birthday, November 29th, will be at Medford Leas. You are going to a beautiful home, in a beautiful location with many friends. I wish you the best! 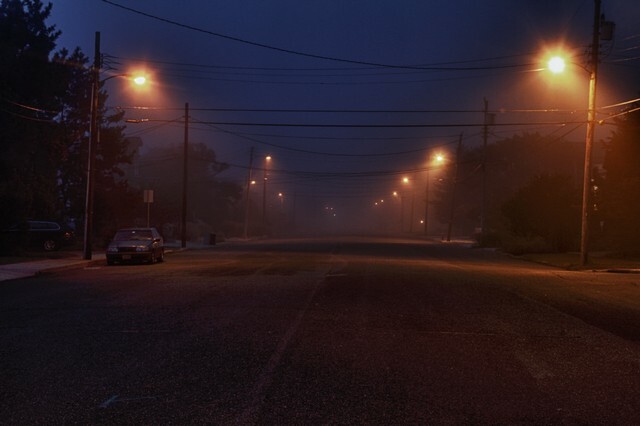 Your fog pictures are wonderful. You are right, capturing an image of what you see on a fogging day is very difficult. But you seemed to get it right! The twilight shot has a dreamy mood to it but I like the yellow lines and diffused light on the center pict. Medford Leas gallery Saturday morning, and thanks for visiting my new home-to-be out there in the country. Once again Ralph, I enjoyed your work. Good luck with the move, see you back here in the spring.